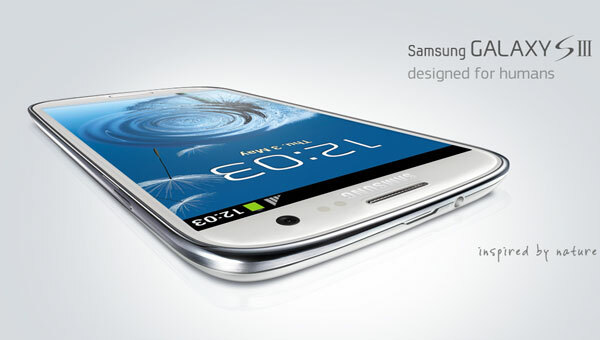 [T]he highly anticipated release of the Samsung Galaxy S 3 is coming soon and has many people excited to get their hands on the new phone. So I decided to run down the phones specs and features as well as talk about why people are excited about this phone. The two predecessors to the Galaxy S3 have changed the way people use their smartphones and raised the expectations that the new Galaxy S3 will be one of the best new smartphones available. Samsung has stuffed the SGS III with so many features which is why the S III is going to be the most interesting Android phones this year. The Samsung Galaxy S3, according to Samsung has been taken from a nature theme. The phone has been “inspired by nature and designed for humans- it sees, listens, responds, and allows you to share the greatest moments”. While speculation is that the change in design is because of the recent legal battles with Apple. Instead of the normal phone design of square corners and a rectangular shape the SGS 3 has overly rounded corners and according to Samsung a pebble shape. The new design may not be as eye catching as other phone designs but the phone fits well in your hand and is comfortable to use. The first thing you will notice about the SGS3 is that the screen is gorgeous. Even though most new phones use the same Super AMOLED Display the SGS3 is a step above. It may be that the use of Gorilla Glass 2 for the display, which is about 20% thinner or extra software to improve the display it is clear you will not find a more stunning cell phone display. For those of you who do not like using a larger screen phone it may not be the best phone for you, but the new SGS3 gives you .3” more of screen space over the SGS2. The rounded edges give you the view that the screen goes edge to edge. You have a choice for two Samsung Galaxy S3 colors- ‘Marble White’ and ‘Pebble Blue’. It is made up of brushed glossy plastic created using a new technology that Samsung has called Hyberglazing which makes the phone feel nice in your hands, but makes it easy to put fingerprint marks on the back. Overall the design although different makes the phone light and comfortable in your hand that along with the improved display will make using your phone more enjoyable. Smart Stay – The front camera of the phone recognizes whether you are actively looking at the phone screen and using it, and until that the screen is turned on. If the camera doesn’t detect your viewing, the screen would turn off automatically. Face and voice unlock – in addition to the ICS face unlock, the S III features an additional “face and voice” unlock method, which should theoretically be more secure. S Beam – The Near Field Communication transfer is taken to the next level from the standard ICS based NFC that came earlier. The tapping and phone-to-phone transfer is possible in a faster and better way. S Voice – App listens to your commands, but a very few ones. Searching using the Google search, turning the camera on, calling someone, checking the weather etc. 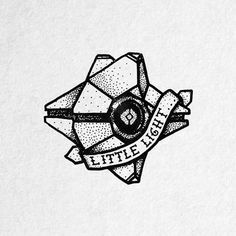 is what all is done listening to your commands. Direct Call – allows users to stop a text mid-message and call the user just by picking up the phone. The S3 calls the user automatically, recognizing the destination of the text. This phone will have many more features that will make mobile phone user excited to try out. 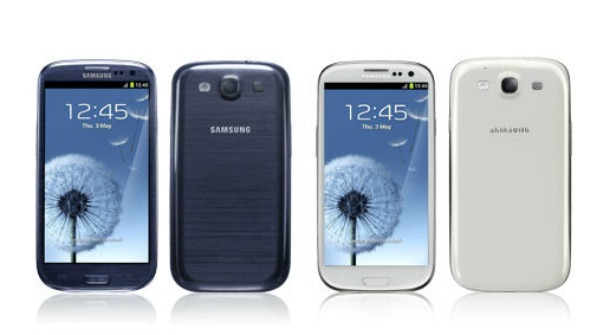 Here are some links to look at if you can’t wait for the Samsung Galaxy S III to come out to find more information about it.